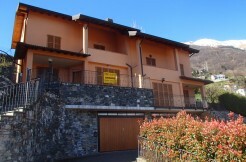 Immobiliare Tre Pievi is a very experienced, long-operating and prestigious real estate agency specialized in the entire Lake Como region since 1996. The agency can satisfy every accommodation need, whether buying, selling or renting, from apartments to villas, from a cottage to the building land. “Lake Como’s unique beauty, local culture, gastronomy and high level of services are factors which by now are renowned and appreciated at the international level,” say Tre Pievi’s founding partners. It is not by coincidence that international VIPs have bought homes and organised events and functions in the area. For many years we have been selecting real estate for an exclusive and knowledgeable clientele. In addition to the traditional German, French and English visitors, recent years have also seen Americans and Eastern Europeans. Even Italians are gradually rediscovering the wonders of this place and the appeal of elegant, well kept homes. The objective is to find the ideal solution for the client by visiting selected locations together. The deal is considered complete only when the client is fully satisfied not only in terms of the financial, “technical” or living aspects, but when he/she obtains the added touch of comfort, assistance and service that only the Lake Como area and we at Tre Pievi can offer”. “Our goal is to help you to fully appreciate your purchase on the Lake”. * Assist you through the buying process. * Opening an Italian bank account – asking the fiscal code (necessary to buy in Italy) administrating the local utilities. * Provide a fully comprehensive property management service: we collaborate from twenty years with companies we trust to guarantee you accurate workmanship. If you are thinking of buying a property to renovate, we offer you qualified, precise and professional help. * Assistance in furnishing the property. * Assistance also after the Notary Deed, our foreign clients can always use our services. The buyer will make an offer to the selling party with a cheque of approximately € 10.000,00 or however the 10% of the total price. In the case that the Seller accepts, the check will be cashed by the owner directly and will sign the purchase offer – it’s possibile also to make the payment by bank transfer once the offer is accepted. The parties sign both the agreement to sell – we will provide also a translation in the language you prefer – and usually a make a second payment by cheque or bank transfer. This step can be skipped if the property is ready for occupation and the time between the purchase offer and the Notary Deed is usually less than 1 or 2 months. The Notary is responsible to all parties and is legally liable for all documents being checked. We work from several years with Notary’s that we trust and we will suggest you which Notary to use, there also will be an official translator who will translate you the final definitive contract and give you assistance during the signature of the Notary deed. The costs for the Definitive Notary deed are at the Buyers expense. The “cadastral value” is the value that the Land Registry Office gives to the property, usually this value is much less than the purchase price and on this value are calculated the taxes to pay. It is only important when the property is bought from a private owner not from a builder. 4% + VAT 22% Agency fee on the total amount which includes assistance from the bureaucratic requirements until after many years after the purchase. 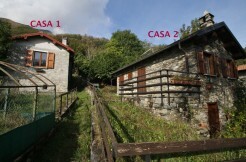 For purchase of a property under € 100.000,00 the commission is fixed and equal to € 4.000,00 + VAT 22%. * Customers from every country in the world are allows to own a property in Italy, there aren’t any difference between Italians & foreigners. * Opening a bank account in Italy is very quick and simple. * The whole process in very easy and secure. * The new properties in Italy don’t include kitchen. The Law in Italy says that the Builder of new properties gives a guarantee that covers the mayor construction defects which start from the day of completion of the works for 10 years. * All the payments done are paid directly to the Seller. It is possibile to obtain a mortgage of 50% of the purchase cost of the property with some major Italian bank such as Unicredit or Intesa San Paolo. The documents required are more or less the same ones required in most countries for example: copy of last salaries and/or annual income statement. If you sell the property within the 5 years from the purchase you will have to pay the 20% of tax on the eventual gained value. eventual annual condo charges – water and rubbish once a year, electricity and gas bill every two months – once a year it’s necessary to do a check of the boiler which it’s done by a professional company and will give a certificate of the work – IMU tax (Commune and State tax) once a year split in 2 payments June and December: this cost depends on the cadastral value (we can arrange the calculation of this for our clients). If you are looking to rent a home for vacation purposes we can suggest you the best solutions presently on the market and companies who collaborate with us who are specialized in rental properties. We are at your disposal to listen, advise, and facilitate your viewing a selection of suitable properties. From years we collaborate with qualified persons who can easily help you to rent the property and to have a good rental income on the property you will buy on Lake Como.